If you haven’t been as diligent in your Lenten practices as you’d hoped, you can breathe a sigh of relief, says one Delaware County nun. According to Sister of St. Joseph Maria McCoy, Lent isn’t a time to check off items on a spiritual to-do list, but rather a season to focus on our relationships with both God and others. “We need to ask ourselves what the quality of those relationships are,” said Sister Maria, spiritual director at St. John Chrysostom Parish in Wallingford. 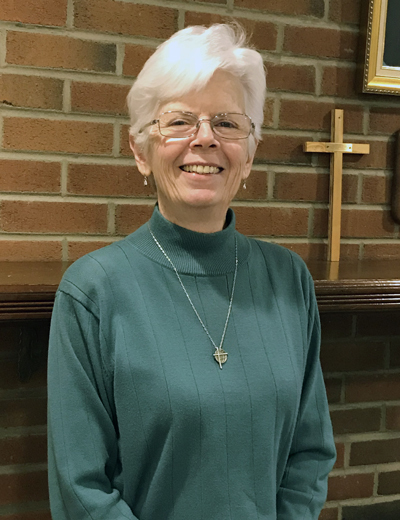 Sifting through the nuances of human and divine interactions is second nature for Sister Maria, who spent 23 years on staff at the Jesuit Center for Spiritual Growth in Wernersville prior to her appointment at St. John Chrysostom. She noted that the hectic pace of modern life, accelerated by digital devices and a constant stream of news and noise, can make it difficult to discern the Lord’s presence. Such distractions may even be welcomed by those who dread taking a long hard look into their souls, she said, adding that “fear should not deter one from listening” for God’s voice. That union fulfills the deepest longings of the human heart, Sister Maria said. It’s also vital to simply “give God space and time,” she stressed. Short self-examinations in the morning and evening, coupled with expressions of gratitude, can sharpen our spiritual eyesight and increase our compassion for others. Late starts and setbacks during Lent shouldn’t discourage us, she said, since the journey to discern God more clearly in our lives is ongoing.